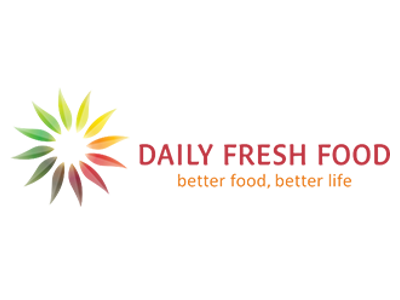 Daily Fresh Food is the largest supplier of fresh produce in the southern Netherlands. Offering around 15,000 fresh and vacuum-packed (sous-vide) items, it serves more than 600 business customers on a daily basis, ranging from restaurants to hospitals and nursing homes. With online commerce becoming increasingly important in the food industry, Daily Fresh Food opted for a modern online store based on Intershop technology with full omnichannel capability. Daily Fresh Food has approximately 15,000 fresh and vacuum-packed products on offer. More than 600 customers currently enjoy fresh produce from Daily Fresh Food—including restaurants, hospitals, and nursing homes. With Intershop Commerce Management Version 7, Daily Fresh Food has a future-proof and scalable omnichannel solution. Omnichannel: receive and process orders from multiple channels, including online stores, mobile devices, call centers, online marketplaces, kiosk applications, and offline stores. International: create a flexible solution that supports increasing online orders and cross-border sales, while maintaining consistently high product data quality. Integrated: combine an advanced, Intershop-based e-commerce platform with a product information management (PIM) system from inRiver. Intershop 7 serves as a flexible, high-connectivity e-commerce solution that easily supports the most complex purchase scenarios— so customers can choose when, where, and how they want to buy. The existing ERP system and new PIM are fully integrated with the extensive out-of-the-box functionality of Intershop Commerce Suite. The order process is clearly structured and user-friendly to enable faster order processing and the best possible customer experience. Product information from the PIM is available across all instances of the commerce platform, ensuring consistent data quality in all channels. Easy roll-out of additional channels serving different touchpoints—from conventional offline stores to smart commerce applications. All sales channels, services, data, content, and integrations are managed from a central point: the Intershop platform. Daily Fresh Food chose Intershop Commerce Suite because of the complete package of business features in the standard platform for optimizing the omnichannel commerce process. All customer groups and devices are managed simply from a central B2B commerce platform, which is seamlessly integrated with the existing ERP and the additional PIM systems.